Rabies is one of the most deadly infections known to humans. It’s also 100% preventable. Rabies has been recognized in humans since 2000 B.C. Despite its long history, it continues to cause approximately 59,000 deaths a year, mostly among children. The virus that causes Rabies is present around the world (with the exception of Antarctica) and all mammals are susceptible to infection. This World Rabies Day, find out the truth behind 5 common misconceptions so you can stay informed and help others stay safe. We take a look at why Rabies is still a concern, how travellers are at risk, and what you can do to be prepared. 1. Rabies is only transmitted by animal bites: FALSE. Rabies is transmitted through contact with the saliva of an infected animal. Bites are the most common mode of Rabies transmission but the virus can be transmitted when saliva enters any open wound or mucus membrane (such as the mouth, nose, or eye). As a result, licks or scratches from rabid animals can also transmit the virus. Canines, particularly dogs, are the most common source of Rabies transmission worldwide because they bite readily and often have contact with humans and other animals. Canine Rabies – a specific type of Rabies that is spread among dogs, foxes, coyotes, wolves, and other canines – is still endemic (meaning it is regularly found) in parts of Africa, Asia, and Central and South America. In these regions, there are significant challenges to reducing Rabies in canines such as low vaccination rates in dogs, limited and costly veterinary services, lack of public awareness, and uncontrolled dog populations. Most Rabies deaths occur in Africa and Asia and are due to bites, scratches, or licks from dogs. In Europe, Canada, and the United States, human Rabies cases are rare because most dogs are vaccinated against it. In these regions, Rabies is most often reported in wild animals such as raccoons, skunks, and foxes. 2. A bite from an animal will be obvious: FALSE. In Canada and the United States, most human Rabies infections are associated with bats. Due to their small size, bat bites or scratches may not be noticeable or leave no obvious puncture wounds. Bat rabies occurs in every country (with the exception of New Zealand and Antarctica). Bats are a high risk vector for Rabies transmission because bite wounds or scratches can go undetected and therefore untreated. In some circumstances, the victim may not even know they had contact with a bat – bats become most active at night and may bite or scratch a person while they sleep. It’s important to seek medical care immediately if you wake up in a room with a bat or if someone who can’t report a bite (such as a child or person with a disability) has unsupervised contact with a bat. 3. Animals will clearly appear rabid and unwell: FALSE. While most animals will demonstrate some signs of illness such as aggression or lack of balance, some may not have noticeable symptoms. Wherever you go, it’s important to avoid contact with wild or feral animals. In countries with canine Rabies, avoid contact with dogs and other biting mammals (such as monkeys), particularly if they are acting strangely. Teach children not to pet, feed, or play with animals – even if the animal is friendly. Encourage them to report any contact with an animal and reassure them that it is not their fault if they get bitten or scratched. If you or your child are bitten or scratched by an animal, wash the wound thoroughly with soap and water, rinse it with antiseptic, and immediately seek medical care. 4. The symptoms of a Rabies infection will appear shortly after a bite: FALSE. After the bite of an infected animal, Rabies symptoms may take weeks, months, or in some cases, years to appear in humans (this is known as the incubation period). The length of time before symptoms appear can vary based on where you were bitten (arm, leg, face, etc. ), the type of Rabies infection (bat or canine), and if you were vaccinated against Rabies before the bite. The long incubation period of Rabies can make diagnosis and treatment difficult because patients may assume no infection occurred until symptoms develop – at which point the disease becomes fatal. If you suspect you were exposed to the Rabies virus, always seek prompt medical care and vaccination. 5. You can only get vaccinated against Rabies after a bite: FALSE. The Rabies vaccine is administered in a series of vaccines, which can be given before potential exposure as a preventive measure or after a bite from an infected animal. If you were not vaccinated against Rabies, you need a series of 4-5 vaccines and the Human Rabies Immunoglobulin (HRIG) over a period of 14 days after the bite or scratch. *These are current guidelines used in the United States and Canada. The World Health Organization recently released revised Rabies vaccination guidelines that support a condensed vaccination schedule and dosage. The new schedule is proven to provide adequate protection and reduces the cost of vaccination. HRIG is highly delicate and expensive. It is made from the donated blood plasma of people who have been vaccinated against Rabies. After potential Rabies exposure, HRIG must be administered promptly with the first dose of the Rabies vaccine series. It provides immediate immunity until the Rabies vaccines can begin to provide long-term protection (after about 7 days). In some countries, Equine Rabies Immunoglobulin (ERIG) may be administered when HRIG is not available. ERIG is made from the plasma of horses. 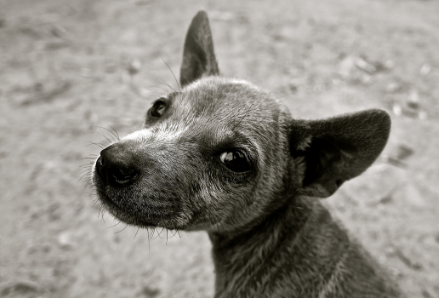 HRIG is in short supply worldwide, particularly in countries that are most affected by Rabies. Rabies is classified as a Neglected Tropical Disease because the infection disproportionally affects low-income populations in developing regions where medical services are limited (particularly in rural areas) and necessary post-exposure Rabies vaccines are often unavailable or in short supply. Should you get vaccinated against Rabies? Planning an extended stay or on work assignments in remote and rural areas, particularly in Rabies endemic regions (Africa, Asia, and Central and South America). Going to areas with limited medical care and limited access to post-exposure Rabies vaccines. Participating in high risk activities such as hiking, camping, running, cycling, or exploring caves in endemic regions. The benefit of the pre-exposure series is that after potential exposure to the Rabies virus, only 2 post-exposure vaccines are required and HRIG is not needed. This greatly simplifies post-exposure care, as unvaccinated travellers may need to be emergency evacuated or travel to another country to find HRIG and adequate post-exposure medical care. The need to seek vaccination promptly and the high cost of HRIG can easily derail a trip and lead to unexpected expenses. To the average traveller, the chances of encountering a rabid animal may be low but being aware of the risks and the difficulty of accessing emergency care are an important component of responsible travel.